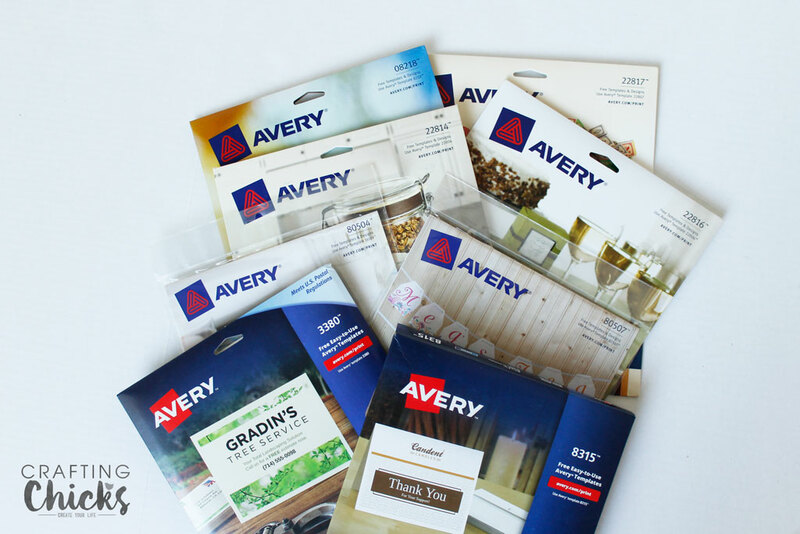 This post is sponsored by Avery Products and may contain affiliate links. All opinions are my own. 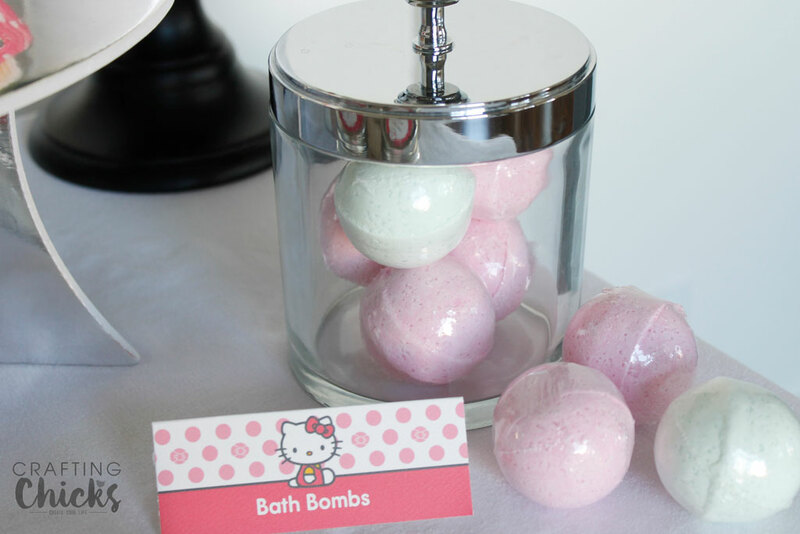 Hello Kitty Spa Party is the perfect way to add a fun flare to a little girls spa party. Adding fun pops of pink this party will be a hit. If there are two things my daughter loves it’s Hello Kitty, and getting her nails painted. 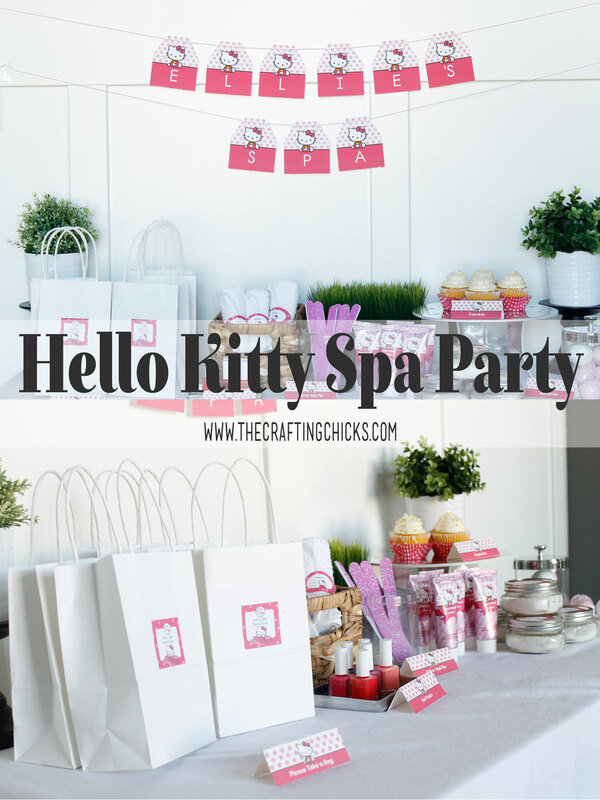 I decided to take her love of those things and throw her a Hello Kitty Spa Party. It was really easy and I’m excited to show you how I did it. I got myself some Avery Products and the ideas started flowing. 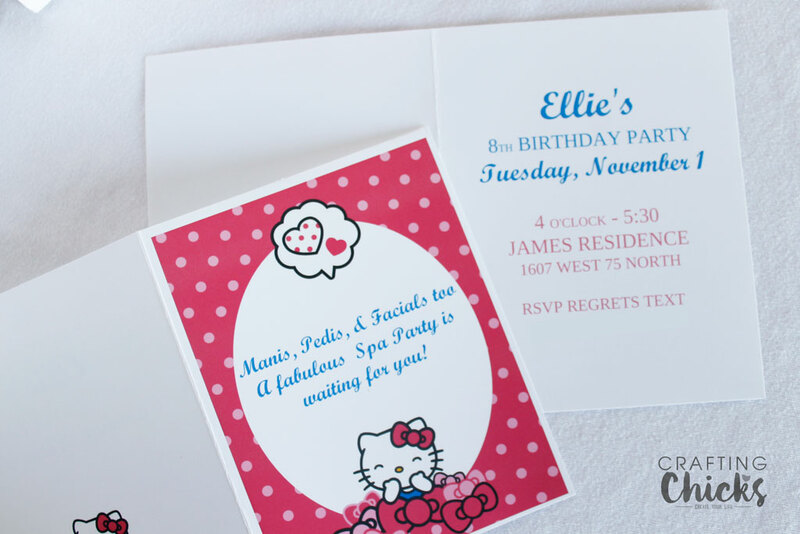 They have Hello Kitty printables available on Avery Design & Print. 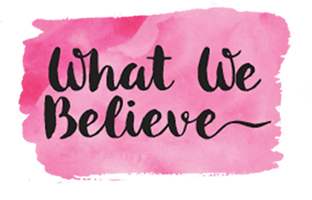 Avery Design & Print is the easy to use free software where people can design, personalize and print unique projects using Avery products and the free design templates. And let me tell you, it was super easy and took the work out of it for me. We used the Matte White Note Cards to make up invitations for the party. 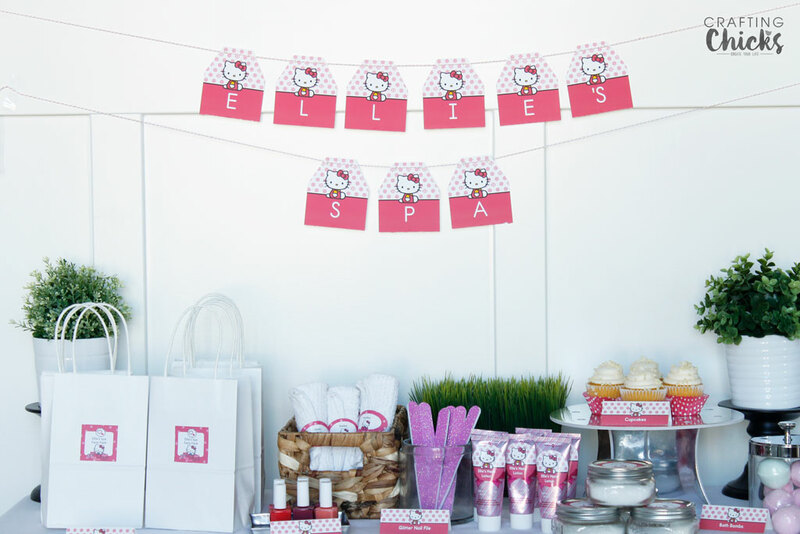 To set the mood for the party I used the Party Banner so the guests knew they were at Ellie’s Spa. For the colors I used bright pink, white, splashes of blue, and like every spa, touches of green foliage everywhere. 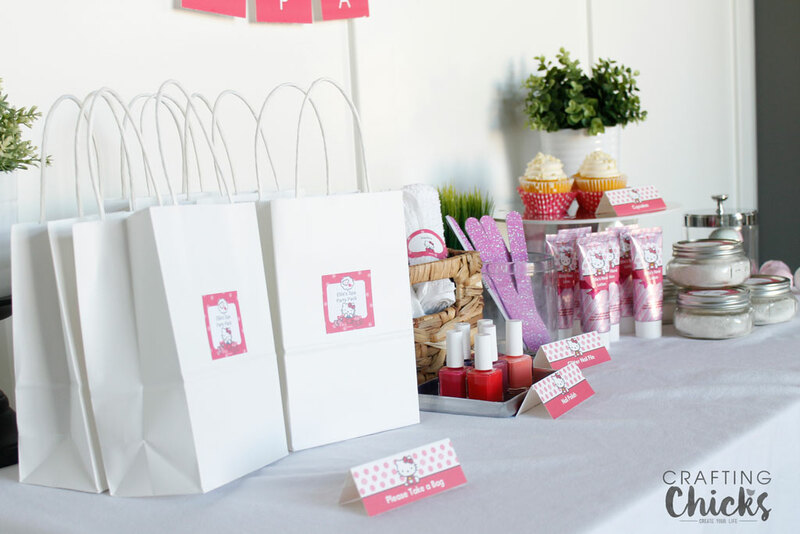 Each guest was able to grab an empty white gift bag that they would fill at the spa table. 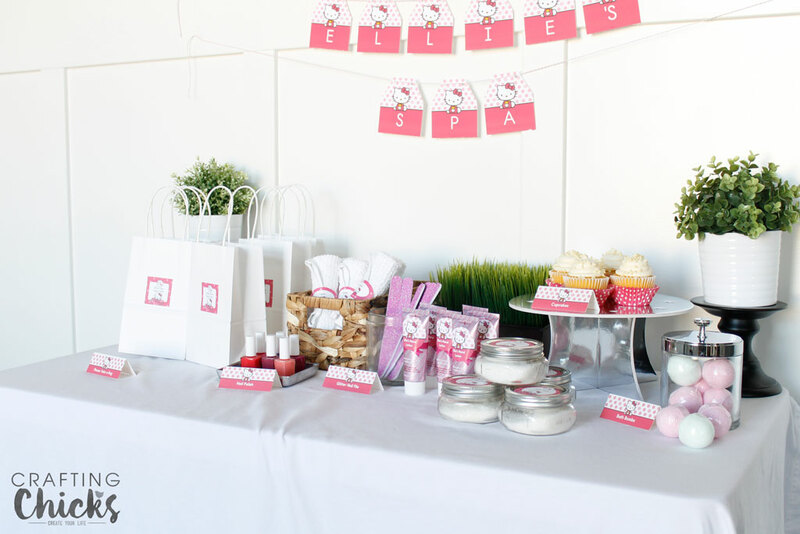 I used the Square Labels and added, “Ellie’s Spa Party Pack” to each bag. The girls loved this. 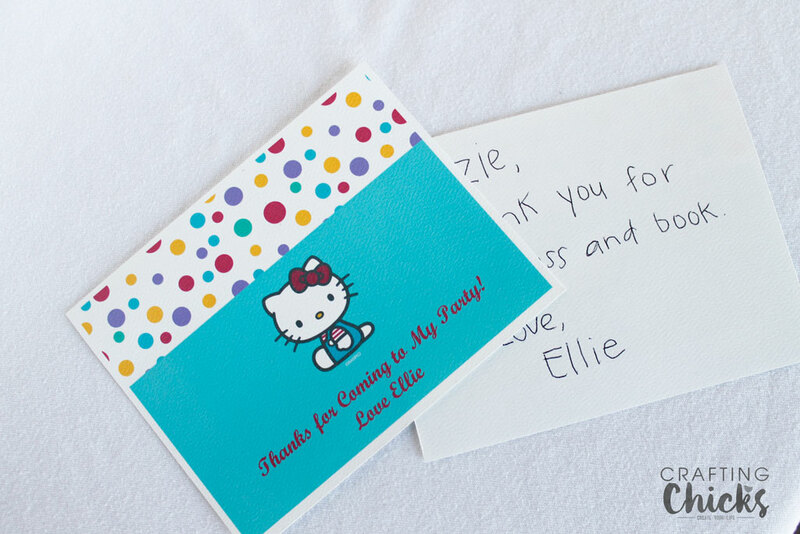 I also had Place Cards around to label and help the girls know where things where. We had nail polish for each girl to use and then take home. I found these glitter nail files and knew they would be perfect for this party. We served cupcakes for a snack. My girls have become big fans of bath bombs so we had one for each guest in a couple different scents. I found this Dr Teal’s Epsom Salt Milk and Honey bath salt and it smells divine and is so relaxing. I put about 1/2 cup in these cute mini mason jars. Each girl would need a white washcloth to make the relaxation complete. I used the Print to the Edge Oval Labels to personalize each washcloth. I rolled up the washcloths and placed the labels on the edge and they held them together nicely. Aren’t they so cute?!? I found these hand lotions on sale for .29 cents. Steal and they totally went with the party colors and theme. Using the Print-to-the-Edge Round Labels, I was able to title them for the party guests. 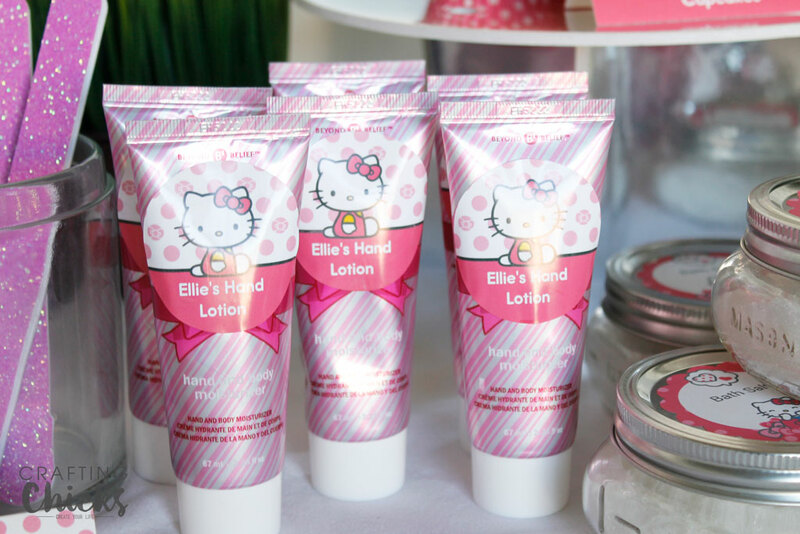 Here are the activities that we did for the Hello Kitty Spa Party. Each girl came in and was able to choose a nail color and fill up her bag from the spa table. From there we had 3 stations set up. 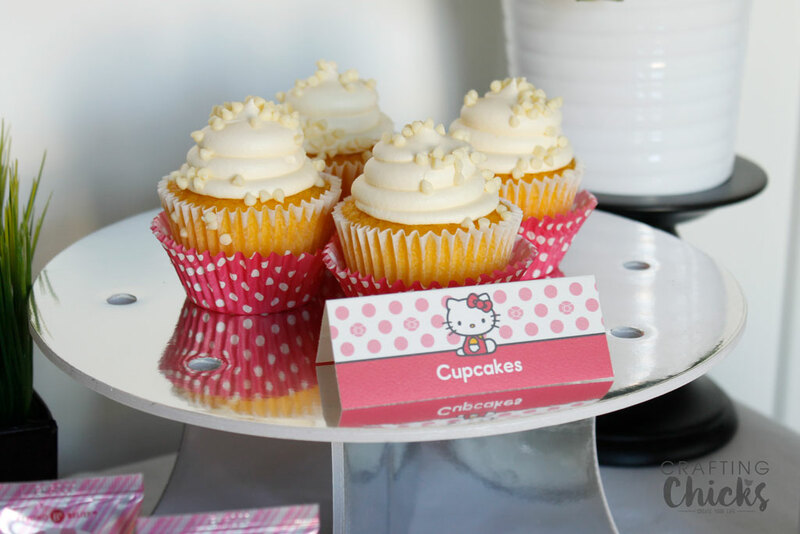 One for nail painting, foot soak, and cupcakes. They were able to rotate through and had a great time with it. I always think it’s important for my girls to learn to say “thank you,” so I printed out some on the Textured White Postcard. There you have it. 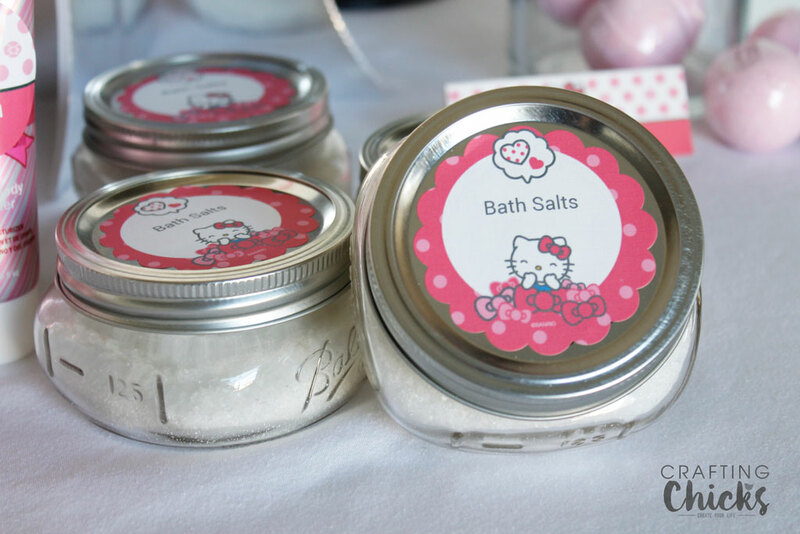 A fun and easy Hello Kitty inspired Spa Party.